What are Downtown Development Districts (DDDs)? Assist municipalities in strengthening neighborhoods while harnessing the attraction that vibrant downtowns hold for talented people, innovative small businesses and residents from all walks of life. 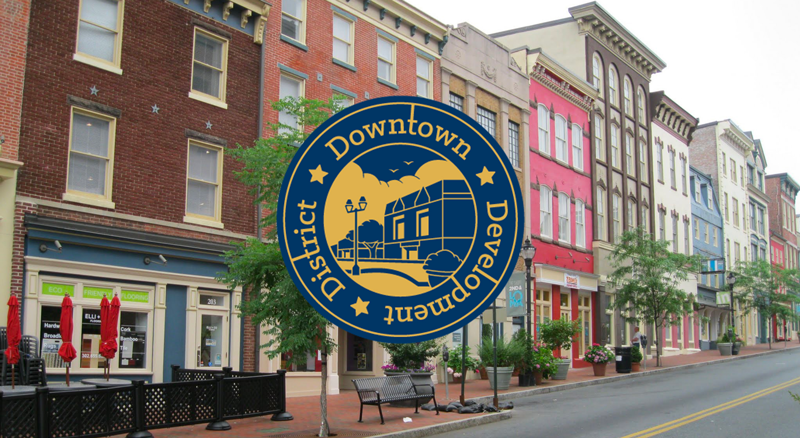 The Downtown Development District Spark Page highlights incentives offered by each of Delaware’s eight DDD communities designated in 2015 and 2016. Within the Spark Page, view statewide DDD and City of Dover interactive maps, a video on the City of Milford’s DDD, and project photos. 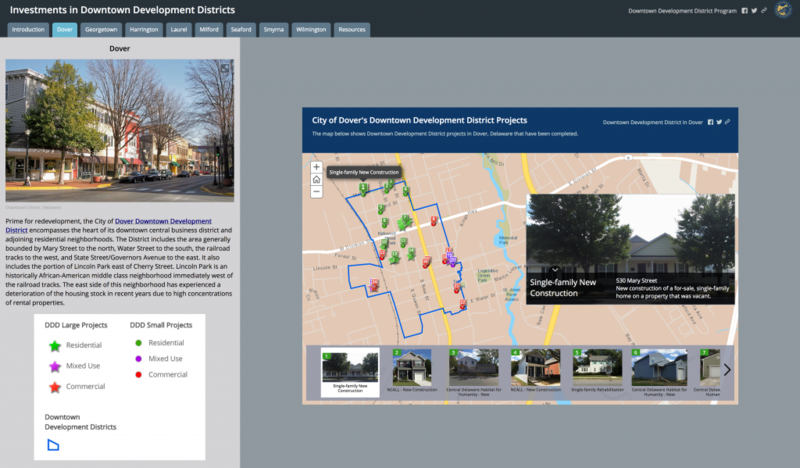 The Investments in Downtown Development Districts (DDDs) GIS story map highlights developer investments for both large and small project set-asides in each DDD community. In addition, the map identifies the type of project in terms of commercial, residential, and/or mixed-use development. This story map is comprised of eight (8) individual story maps, one for each of Delaware’s designated DDDs, which may be viewed in the “Implementing Complete Communities in Delaware” GIS Story Map Gallery.